Are you looking to be a SPONSORED ATHLETE for your 2009 triathlon season? Trakkers is currently accepting applications from dynamic, character-driven, hard working individuals who train and race for fun, for competition, or - let's be honest - so we can eat that large pizza on occasion (or even often!). 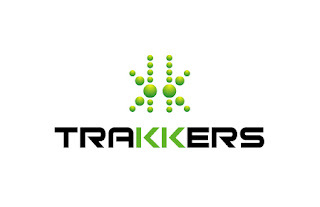 Trakkers is a unique, real-time tracking device athletes are using during their training and racing events. A satellite signal allows friends and family to locate their athlete online, following actual movement and progress. Imagine how helpful it will be to family members no longer having to guess where their athlete is, no longer having to do vigil on the sidewalk for hours, no longer wondering where their athlete is amid their 4-hour bike ride on Sunday afternoon. Using Trakkers with the internet, family members can navigate accurate location in real-time in order to see their athlete, or follow their progress. Athletes slated for 2009 Team Trakkers include: Michael Lovato, Heather Gollnick, Amanda Lovato, Chris Legh, Carole Sharpless, Bree Wee, Linsey Corbin, Brooke Davison, Tim Hola, Rachel Ross. At Trakkers, we are looking for individuals to sponsor who will help bring awareness to the product in their multi-sport community through racing, but also by participating in community events. Results are important, but aren't the first thing Trakkers is looking for. We want individuals to represent Trakkers who display passion, emote a positive energy, and will take initiative to spread the word about this already-popular product.